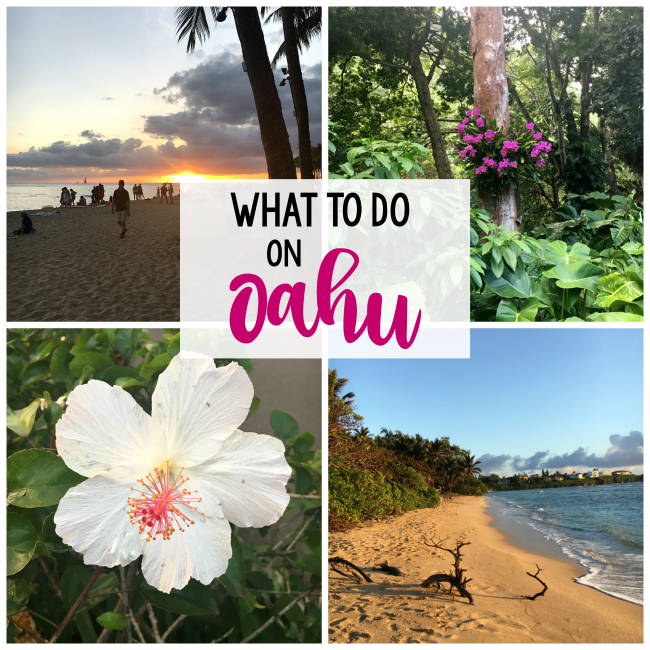 A Peek at the Fun: If you’re headed to Hawaii and plan to hit up Oahu, you will want to check out this list of fun things to do on Oahu! 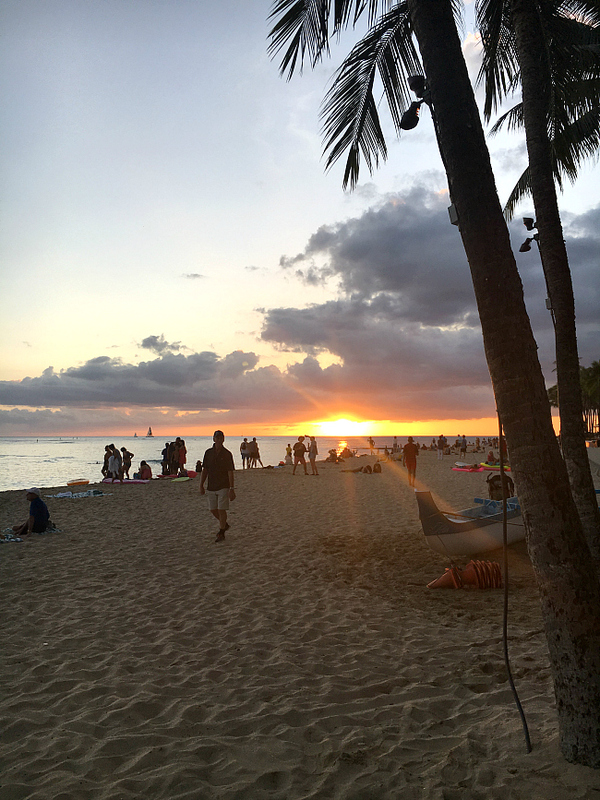 From North Shore to Waikiki, we’ll tell you some great places to eat, things to see and great beaches to hit! Oh how we love Hawaii! Danetta’s a Hawaii pro-she even lived on Oahu for a semester of school. Amber’s a Hawaii newbie-just took her first trip there in November. But we both love it! 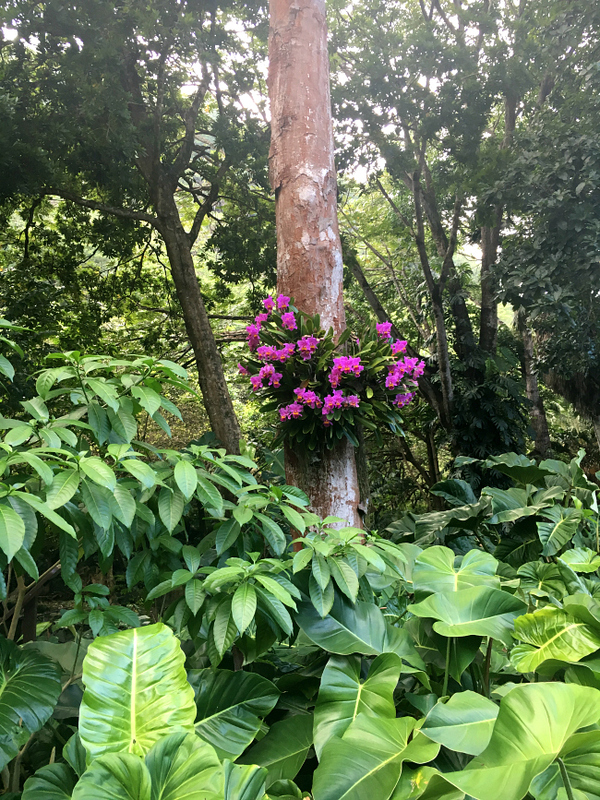 And since Amber was headed there and didn’t know what she should spend her time doing, Danetta recommended all of the best places to visit and fun things to do on Oahu and it was perfect. 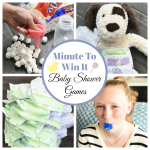 So now, we’re going to share those ideas with you! Seriously, we love this place and there are a million fun things to do on Oahu, but we will get you started with some of our favorites! Let’s start out talking about the city, since that’s where you will fly into. This might be the most recognizable place in Hawaii. Although you may not associate city life with Hawaii, you might want to rethink that. Honolulu has all of the bustle you would expect in a capital city. It’s the largest city in Hawaii, so you can expect traffic, high rise buildings, and lots of people. 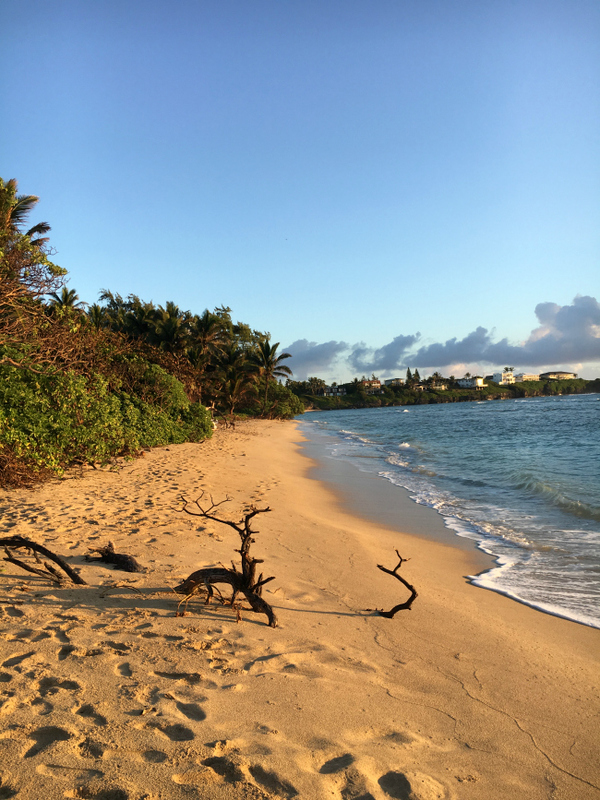 We don’t want to burst anyone’s dreams about what Hawaii looks like, because you will find your paradise on the island of Oahu, but the city can also be fun. Waikiki Beach is located in the city of Honolulu and is one of the best beaches in Hawaii because it offers so many activities. Surfing, sunbathing, canoeing, surfing lessons, sunset cruises, helicopter tours, parasailing, shopping, dining and so much more! If you are looking to sit and relax on a beach in peaceful quiet, this is not your destination. Waikiki is a full of people, with lots of things going on. This is one of Danetta’s favorite spots to visit when she goes to Hawaii. 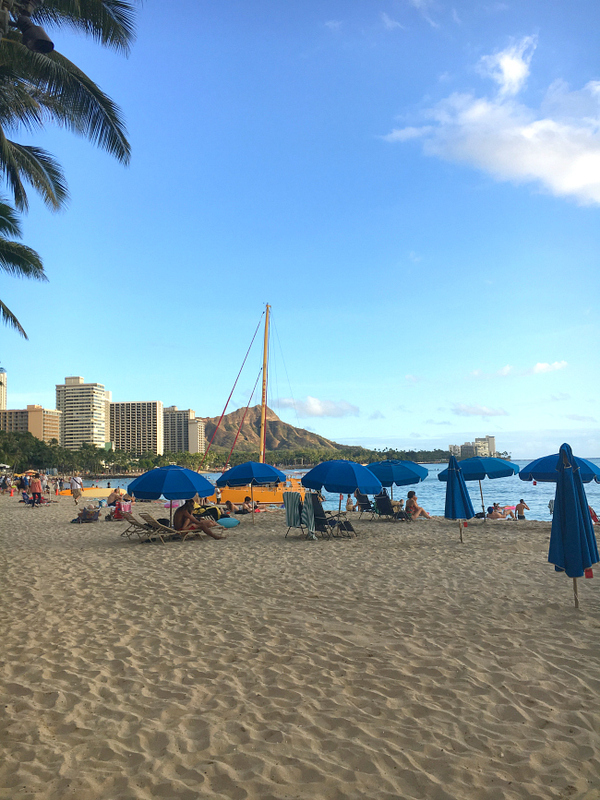 Waikiki has a long sandbar (meaning shallow water), perfect for body surfing and will provide hours of fun and is perfect for kiddos. It’s also fantastic beach weather on this side of the island, with lots of heat and sun! This is the dryer part of the island, not getting near the same rainfall, so it’s perfect for beach days! 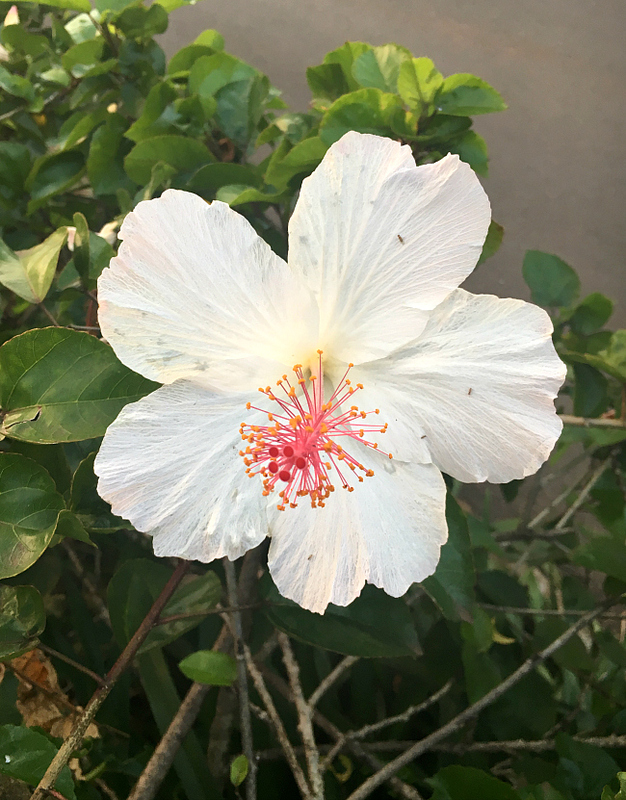 If you go to Honolulu prepared for a city, you will find so many things to enjoy. Keep in mind that Oahu has the best of both worlds with Honolulu’s city life and North Shore’s peaceful paradise. 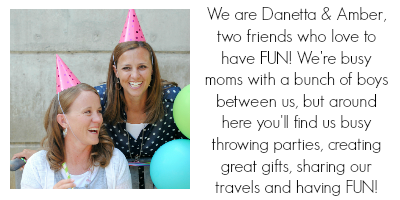 You will please everyone you are traveling with. 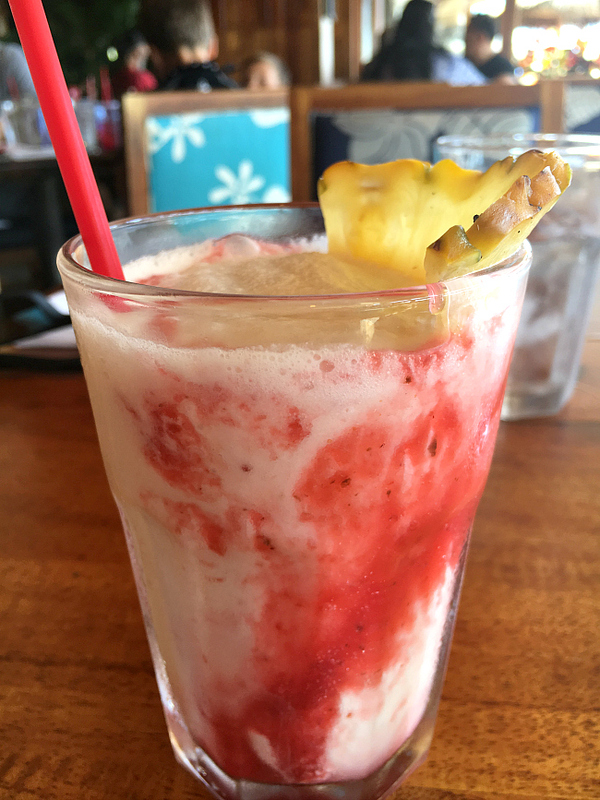 Duke’s Waikiki: This place is pretty popular (and isn’t just on Oahu, you can find it on other islands too), and it’s completely fantastic! The food is great and the experience is unbeatable. This was the first place Amber and her husband hit after landing in Honolulu and it was the perfect introduction to Hawaii. 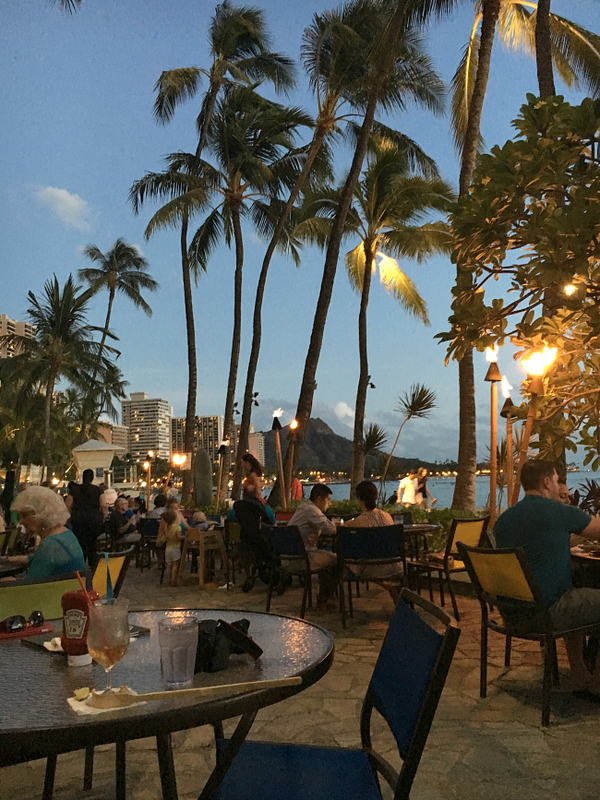 Sit on a patio that overlooks the ocean and Diamond Head while you eat. Tiki torches, palm trees, it’s perfect. 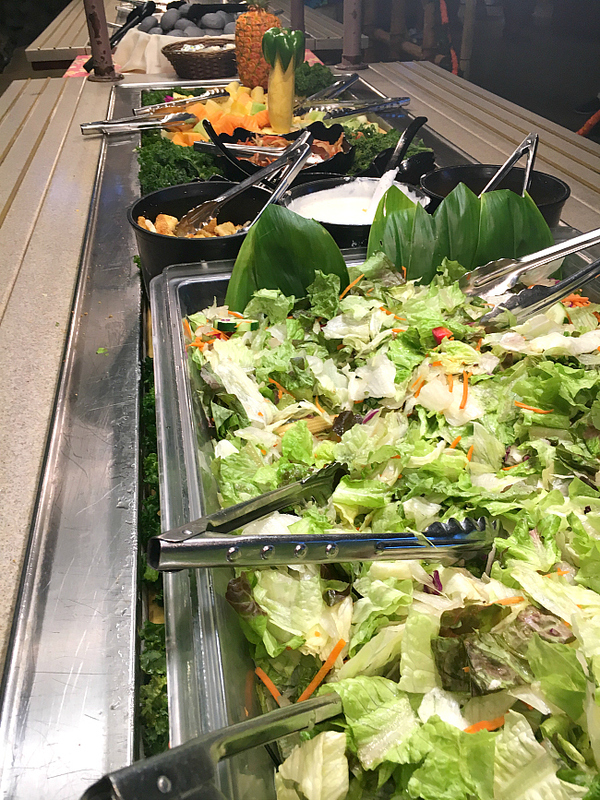 And the food is great too! Be sure to try the Hula Pie-it’s heavenly! Macadamia nut ice-cream on a cookie crust topped with whip cream and chocolate!! It is definitely a dessert that can be shared between 2-4 people. Or they’ve got great tropical drinks like this Strawberry and Pineapple one. If you time it right you can even watch the sunset while you eat! 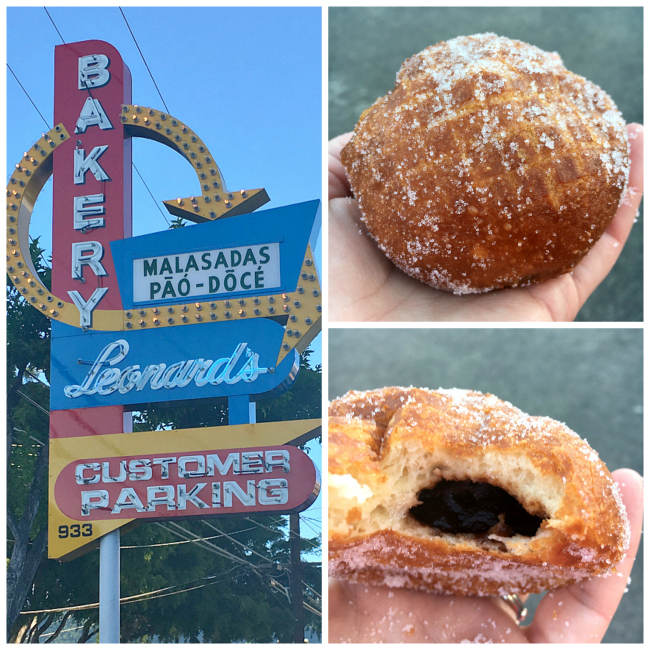 Leonard’s Malasadas: This place came recommended by many people! A malasada is like a donut, but filled with your choice of toppings. We (Amber and Josh), got two malasadas-one filled with Haupia (coconut pudding) and one filled with chocolate and ate them both at the same time. Very yummy! A couple of things to note-Leonard’s is in Waikiki and is a little tricky to get to, so give yourself time. Also, come hungry! These things are filling! And plan to wait in a little bit of a line. We waiting probably 10-15 minutes to order and then have them make our malasadas. 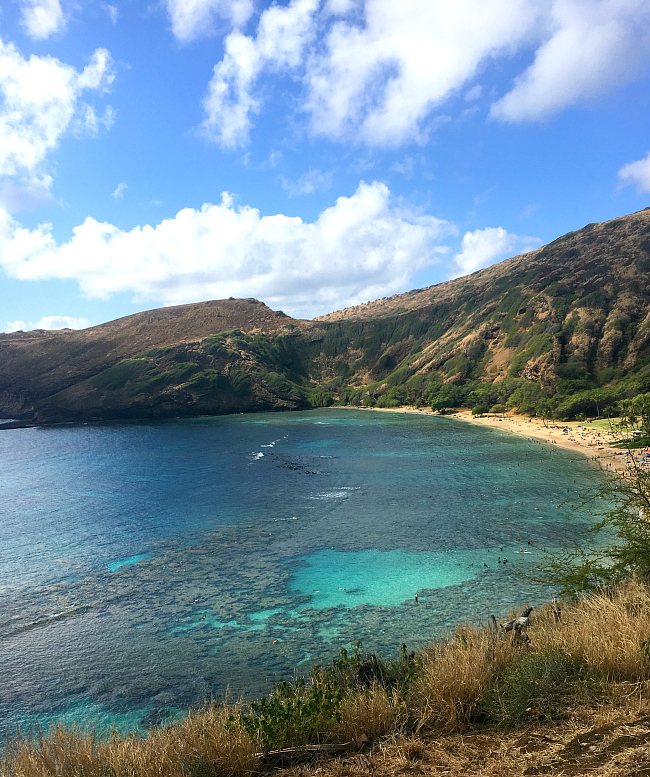 Snorkeling in Hanauma Bay: If you are looking for a great snorkeling place, Hanauma Bay is it! Seriously, with fantastic snorkeling and a fabulous view from the top, this bay will not disappoint. It does get a little crowded and is definitely considered a tourist destination, but it’s worth the crowds. This bay has lots of coral, which means lots of ocean life to see. You’ll park at the top and have to walk or pay for a shuttle (about $2 per person) to take you down and back up at the end of the day. There’s also a fee to snorkel. Bring your own snorkel gear or you can rent it there (though it’s a little more pricey there than you will find at local rental shops). Also, you’ll have to pay to get in and then watch a short film before they let you down to the bay, so plan a little extra time for that. Now let’s talk about the North Shore area. This is more of what you probably think of when you think of Hawaii-green mountains, palm trees everywhere, beaches no matter where you go, slower paced. Basically, paradise. It will also feel very different from the Honolulu area-it’s a whole different pace of life up on the North Shore. 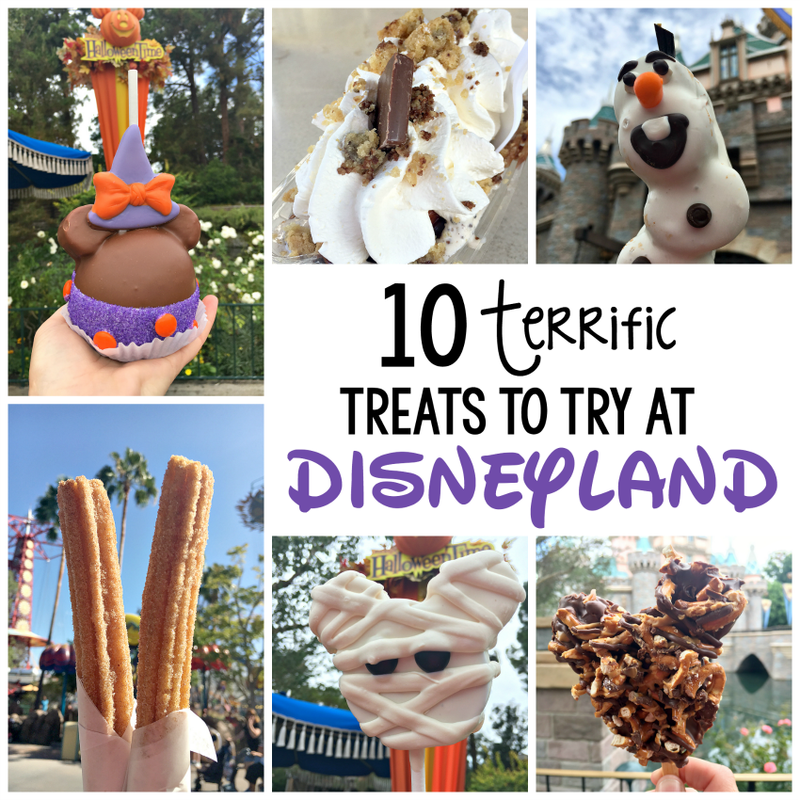 There are a lot of fun things to do up there too. Here are some of our favorite fun things to do on Oahu North Shore. 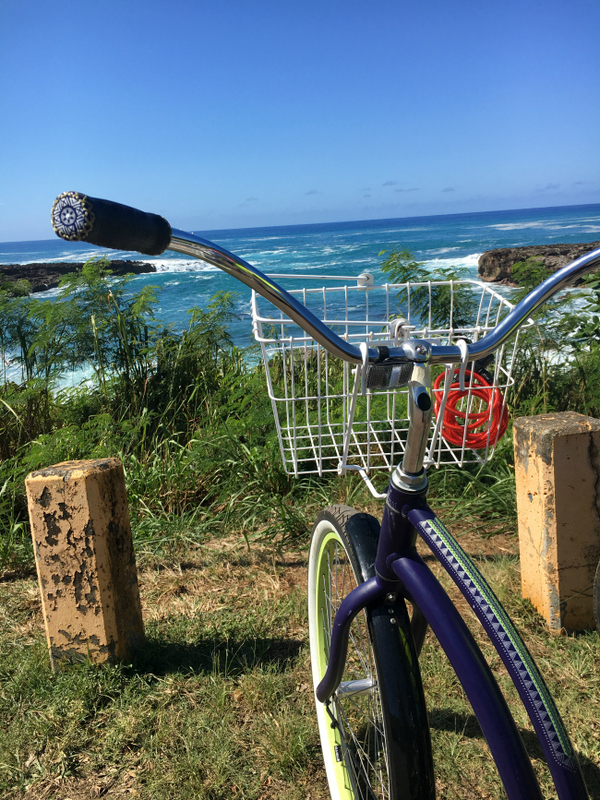 Biking in North Shore: If you want an easy, relaxing and fun way to explore North Shore, try renting a bike from North Shore Bike Rentals. They’ll meet you anywhere you request with a beach cruiser or a tandem bike and you can cruise up and down the shore. 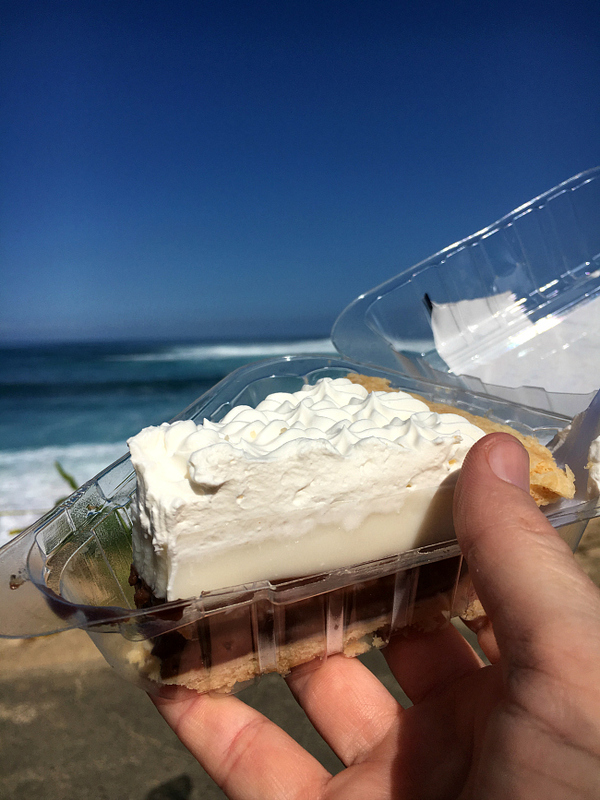 You can ride to Ted’s Bakery in Sunset Beach and get the Chocolate Haupia pie (definitely recommend this!) and then sit and watch the world-class surfers while you eat it. You can also snorkel in Shark’s Cove. There are even places to rent the gear right across the street if you need it. (Word of warning though, the waves get huge in the winter on this part of North Shore, so the beaches are mostly closed and you don’t want to get in the water.) Also, when you go to this area, make sure to watch your belongings. It has a reputation for thefts, both on the beach and car break-ins. Don’t bring unnecessary items with you, pack light on this day and be aware of your belongings. 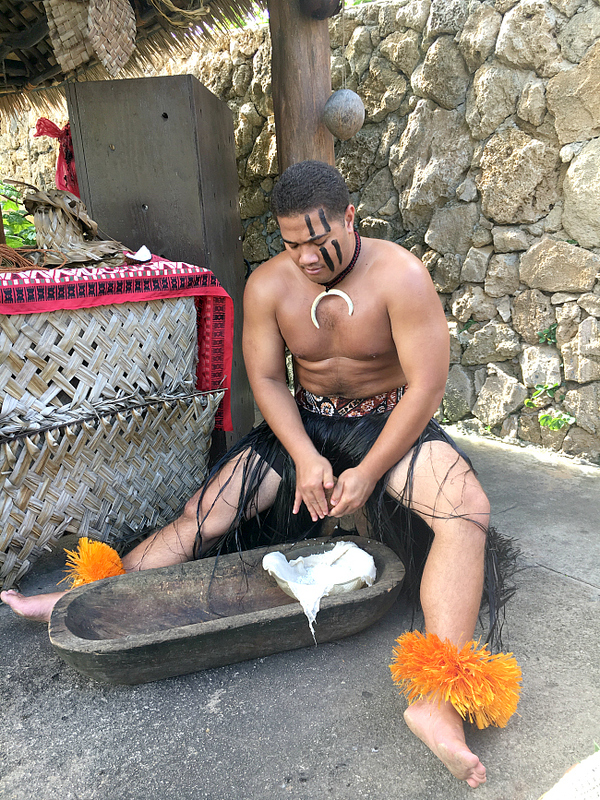 Polynesian Cultural Center: This is an experience you won’t want to miss! Buy a pass for a day (best to reserve online ahead of time, you’ll save money that way) and explore all of the Polynesian Islands. 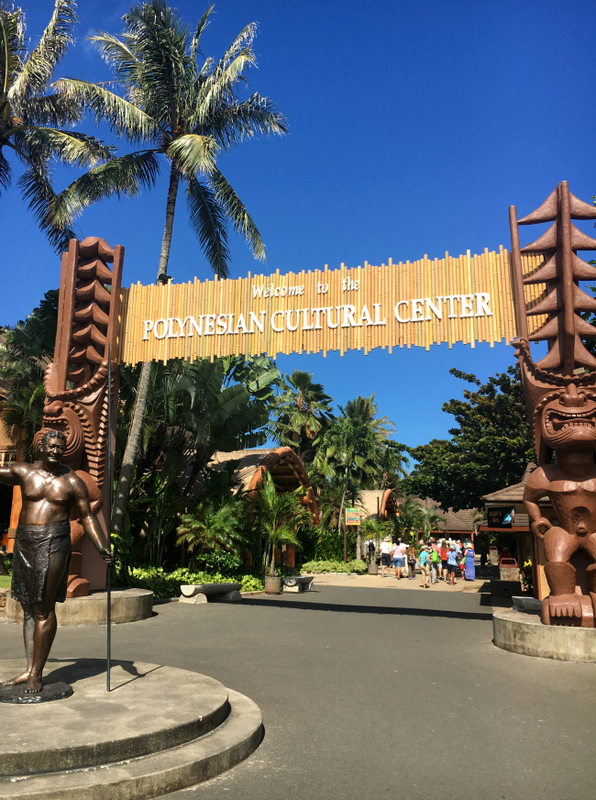 Each island has an area at the PCC where you can do interactive activities native to that island and also watch a show that will give you a great feel for the culture of each individual island. In the evening they’ll feed you at a fantastic Hawaiian Luau. And then at night, there’s a stage show that’s incredible! 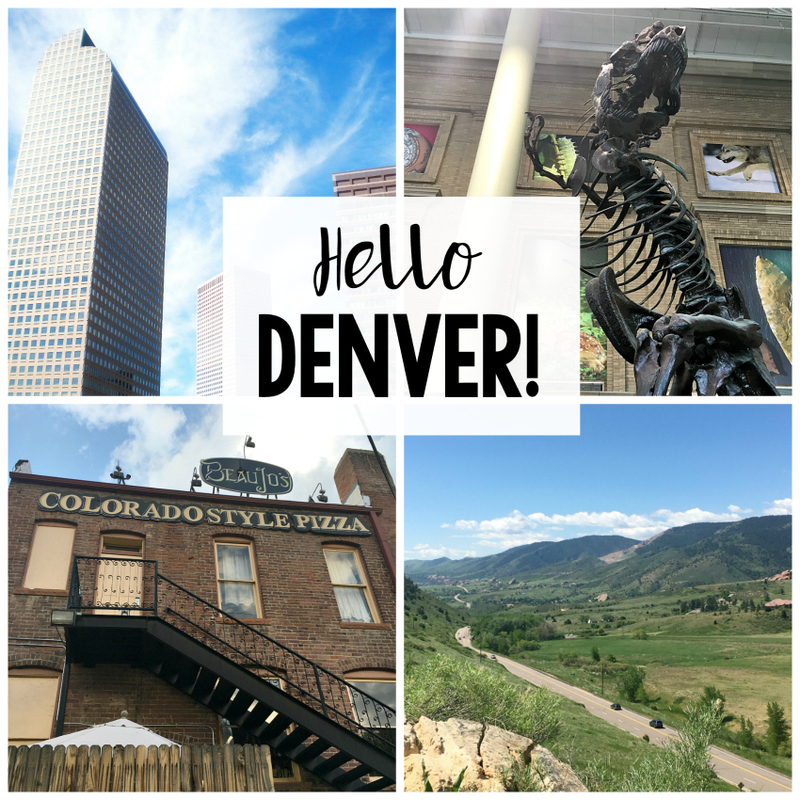 There’s too much to tell you about this amazing place-it deserves its own post! Shave Ice at Matsumoto’s in Haleiwa: This is a must try if you find yourself up on North Shore, Oahu! 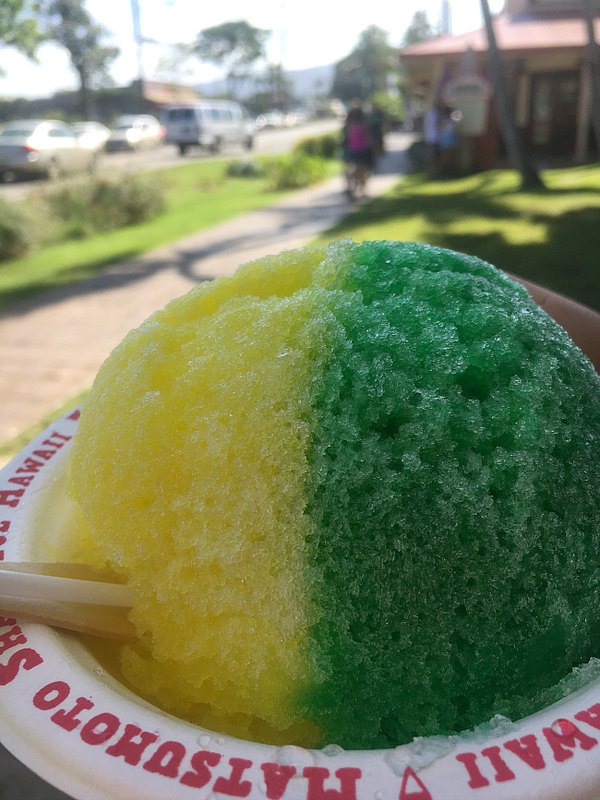 Matsumoto’s is everything you want in shave ice…so yummy. Haleiwa is also a fun little town to visit, we loved the surf shops. Don’t be put off by the long line at Matsumoto’s. It moves FAST! These people know what they are doing! If you’ve got the time, walk around Haleiwa a little too. It’s a cute town! Waimea Valley: If you want to walk through true paradise, this is the place to go. Tons of famous movies were filmed here because it’s the paradise of your dreams. Lush, green, beautiful plants as you walk. It’s about 3/4 of a mile each way on a paved path, so it should be doable for most people. You could easily spend the good part of a day here, or keep it short and just spend an hour or two. 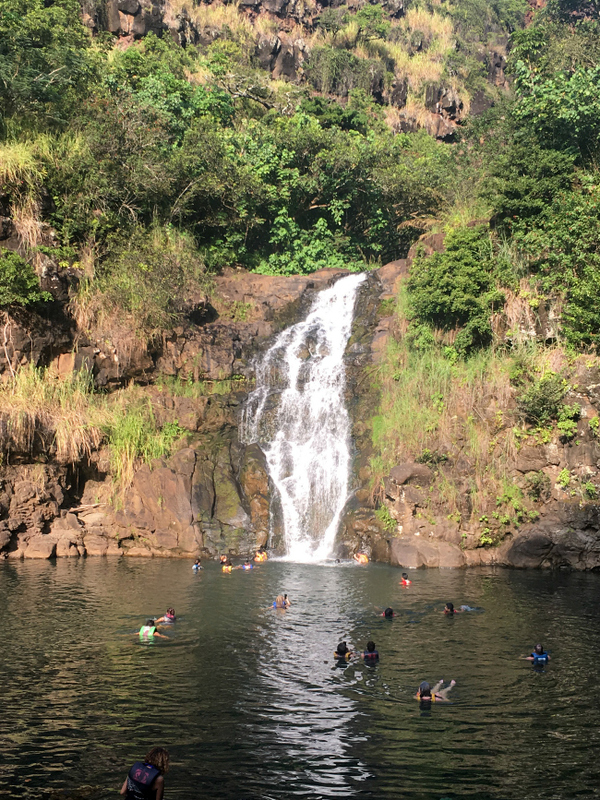 At the end (3/4 of a mile walk) you’ll find Waimea Falls. You can swim here. They’ve got life jackets (which are required) that you can use. Or just sit and look at it. 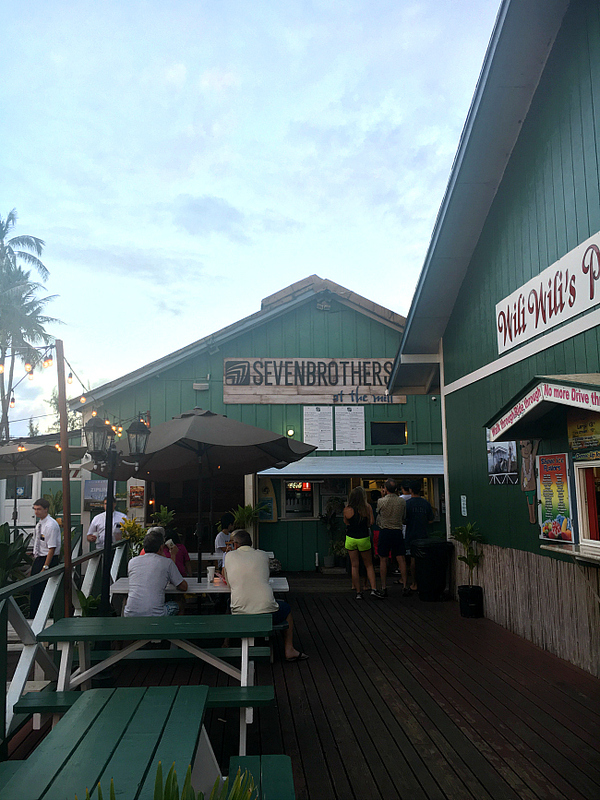 Seven Brothers at the Mill: (Formerly Kahuku Grill) There aren’t a ton of places to eat on North Shore-you’ll find most of them on end or the other-either in Haleiwa or in Laie. 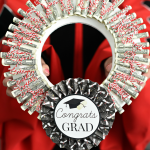 This one’s definitely one to hit. 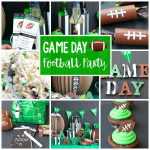 The food is great and the atmosphere is fun! You sit outside to eat, there are lights strung everywhere, the feral chickens wander past and the food is yummy! The coconut shrimp is what they’re famous for, but it seems like everything is good! Enjoy your trip! And if YOU have things you love to do on Oahu, let us know if the comments! I lived in Hawaii for 3 years. Not far from north shore. So we would go there all the time. Go to the beach then walk the town and get shaved ice. By far my favorite thing to do was climb koko head mountain. It was amazing. I loved hiking diamond head crater. Or hiking to manoa falls. So much to do. I made a lot of great local friends as well. Best years of my life were in Hawaii. I even renewed my vows on the beach. “Hiking” the Makapu’u Lighthouse Trail is a good one. It’s paved and free, plus they just repaved it and added more observation spots and benches. It’s a great place to see whales in the winter! 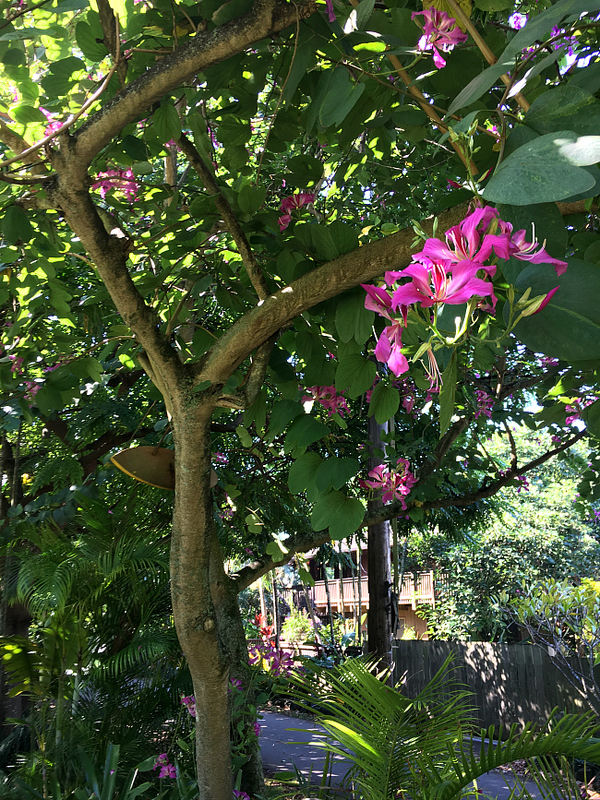 There are also lots of botanical gardens on the island, most of them free, that are great for seeing and learning about native plants and common imports. Renting a kayak in Kailua and paddling out to Flat Island or the Moks is fun/popular, but Kailua town doesn’t allow rentals on Sundays. And, of course, stopping at the Pali Lookout is really neat on a day when it isn’t too rainy to see the Windward Side! Also, the bishop museum, Pearl Harbor, ho’omalau gardens in Kaneohe. We visited Oahu 5 times and find more to see every time. 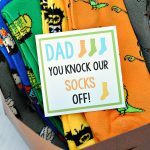 We have spent 60 days there in total! Try Lanikai beach. Listed as one of the most beautiful beaches in the world!